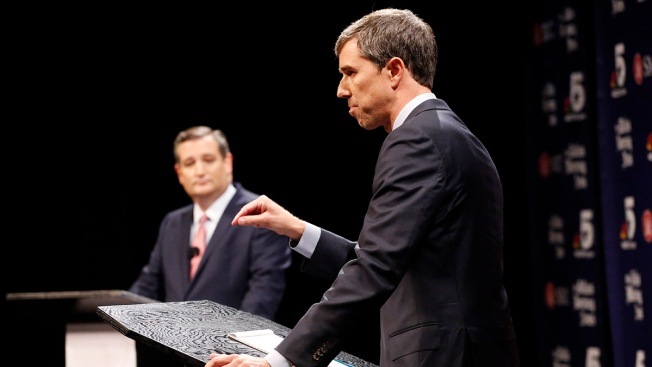 In this Sept. 21, 2018, file photo, Democratic U.S. Rep. Beto O'Rourke makes a point as Republican Sen. Ted Cruz waits his turn during a debate at McFarlin Auditorium at SMU in Dallas. Democrats lead Republicans in the money race in many of the key Senate and House campaigns three weeks ahead of midterm elections that will determine control of Congress. Democrats lead Republicans in the money race in many of the key Senate and House campaigns three weeks ahead of midterm elections that will determine control of Congress. Although the Senate map positions Republicans to maintain their narrow majority, some of the most vulnerable Democratic incumbents continued to rake in cash in the third quarter of 2018, according to the latest campaign finance disclosures. Among House candidates, the Democrats' campaign arm says that at least 60 Democrats topped $1 million in fundraising during the quarter, with several posting eye-popping hauls in excess of $2 million and even $3 million. And national Democrats say that includes many challengers outraising Republican incumbents. Candidates, party committees and some political action committees were continuing to submit their latest reports to the Federal Election Commission ahead of a midnight deadline Monday. Democrats' money advantage has been fueled this campaign cycle by individual donors, particularly small donors. ActBlue, an online portal that allows donors to send campaign cash to candidates across the country, says it raised about $385 million in the third quarter, with an average contribution of $49. ActBlue's proliferation over the course of this cycle has helped counter the long-standing Republican advantage among PACs fueled by billionaire donors, such as casino magnate Sheldon Adelson's eight-figure support for the Congressional Leadership Fund that Speaker Paul Ryan is using as his principal means of trying to preserve the GOP's House majority. Of course, Republicans still boast a notable small-donor fundraiser of their own: President Donald Trump. The president reported $4.5 million in individual contributions between July 1 and Sept. 30 of this year, with $2.9 million of that from small-dollar donations that don't have to be disclosed individually. 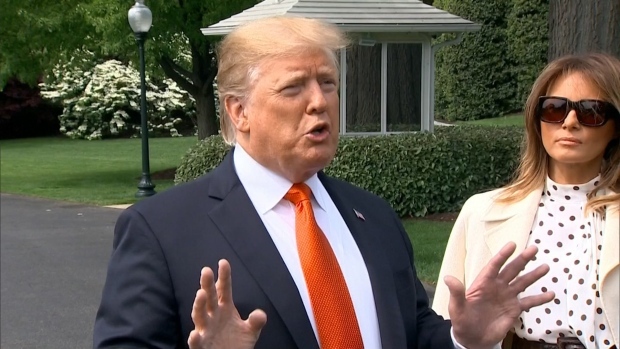 Trump's re-election campaign said in a statement that his overall fundraising activity for the quarter was $18 million, including the money the president raises along with the Republican National Committee for other GOP candidates running this year. Republicans are hoping to use Trump's popularity in certain states to increase their Senate majority, yet Democratic Sens. Claire McCaskill of Missouri and Jon Tester of Montana both continue to dominate their GOP opponents in fundraising. McCaskill reported $7 million in net contributions that includes $4.6 million in itemized individual contributions and an additional $2.18 million from nonitemized, small-dollar contributors. Republican Josh Hawley's campaign says he took in $3.4 million, with the breakdown of that haul not immediately available. In Montana, Tester raised $3.75 million in the latest period, compared to $1.7 million for Republican challenger Matt Rosendale. Tester reported $3.47 million in individual contributions to Rosendale's $1.58 million. And the incumbent's small-dollar haul was more than three times his challenger's: $918,000 to $265,000. Texas Democratic Senate nominee Beto O'Rourke set perhaps the most notable mark of the fundraising period, pulling in $38 million for the quarter, more than tripling that of Republican incumbent Ted Cruz. But underscoring Democrats' challenging path to a Senate majority, polls show Cruz with a consistent lead nearing double digits.